I love this photo. 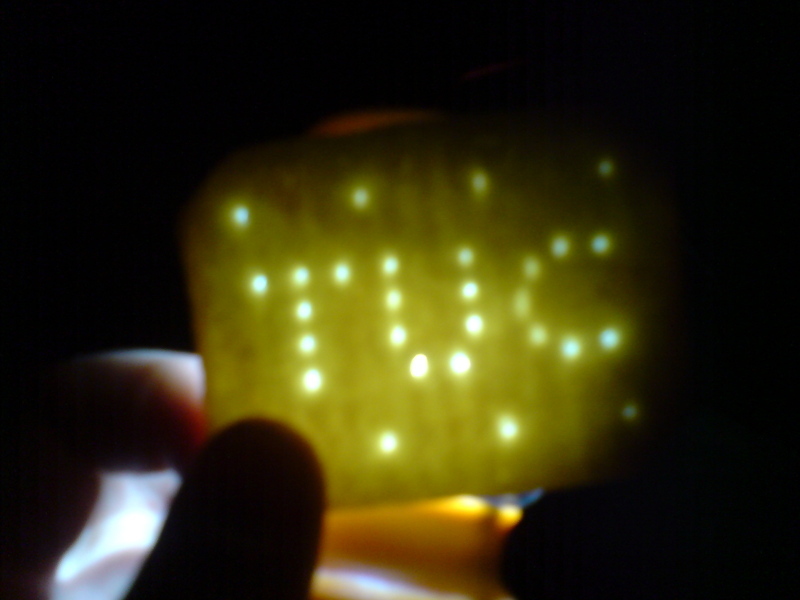 Partially because it evokes memories of the rainy Glastonbury when I took it while we were trapped in our tent, but mainly because TUC biscuits aren't something we'd normally think of as beautiful - but this shot of one illuminated from behind by a torch is (well, I think so). Also, I was going to link to the TUC website - but a 2 second search revealed nothing, except for this ad for them on YouTube, which I don't understand. Mmmm I don't know what do you mean when you say this is art...what kind of art you're talking about? I rthink it is interesting, but is a waste of time.